"Come see me at Big Bone Lick State Historic Site"
Big Bone Lick is Boone County's unpolished gem or diamond in the rough when it comes to history and prehistory. It is Kentucky's own segue to our young nation's search for its own natural history, identity, and pride. It is a 12,000-plus year continuum of human activity and occupation. It is the home of Pleistocene vertebrate paleontology. It was commonly spoken of and referred to in conversations of such elite leaders as Thomas Jefferson, Benjamin Franklin, John Adams, George Washington, and other founding fathers long before Washington D.C. or Capitol Hill ever existed. 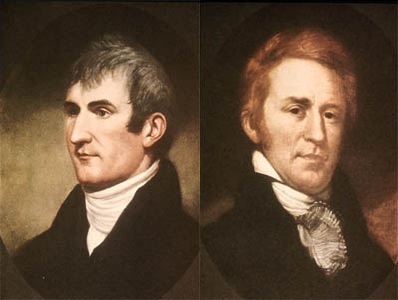 It was the intended destination in the wilderness for such adventurers as Meriwether Lewis, William Clark, George Rogers Clark, William Henry Harrison, Christopher Gist, and numerous others. Even Daniel Boone and Simon Kenton knew Big Bone Lick. It was the origin of the greatest escape-from-Indian-captivity epic which ever took place, repeated, handed down, and held dear by all Kentuckians. It is the story of prehistoric and historic animal and human life and subsistence. How could a place like this be so significant, yet not be a Wonder of the World or a National Heritage Site or an International Heritage Site? Education! -Or lack there of. That's how! It is now time to focus on all these topics and tie them all together so a clearer picture of Big Bone Lick's role in the history of our nation, our state, our country, and our world can be seen, and its complete story understood. Just as there is a time continuum depicting an evolving change in animal and human life styles, forms, and subsistence strategies, there is also a knowledge continuum depicting an evolving change in science and philosophy. To explore and understand Big Bone Lick, one must involve many disciplines---- natural history, general biology, paleontology, archaeology, geology, mathematics, history, philosophy, and even religion and political science. When all these pieces are fitted together, then the essence of Big Bone Lick comes to light. In a nutshell, about 12,000-plus years ago, Pleistocene mammals made their way into North America by way of Beringia, a land mass between Asia and North America. This land bridge was exposed when the ocean water levels dropped as the two-mile thick glacier of that time developed. As the megafauna (large animals) made their way down to Big Bone, they were followed by the Paleo Indians who depended on these animals for their subsistence (food, clothing, and shelter.) The animals were drawn to the lick for the salt (ancient ocean water from another epoch trapped in the geologic anomalies below, which communicated with the surface), and the humans were drawn to the animals. So it continued, millennium after millennium, and the bones of these animals were deposited. In the Hudson River valley in the summer of 1705, a huge fist-sized tooth was found and after much study and debate, was determined to be from a giant human who existed the earth before Noah's great flood and who was exterminated in the great deluge. The religious leaders and antediluvianists thus propagated the "Claverack Gyant" theory. French explorers also made their own discoveries as they continued to move westward. Notations by the French as early as 1729 and again in 1739 and 1749 by French explorers and military campaigns were recorded. Obviously there were humans before this who knew about the bones. They just didn't or couldn't write about them. Years passed and after much debate, conjecture, and study, it became accepted that these teeth and bones belonged to some type of elephant-like mammal-eventually termed the American Incognitum. More debate about it being carnivorous or herbivorous took additional time. During all this time, young America had an identity crisis. It had no ancient Roman or Greek history or heritage. It had no ancient ruins or artifacts as a source of national pride. Europe had a very exciting ancient history. We did not. 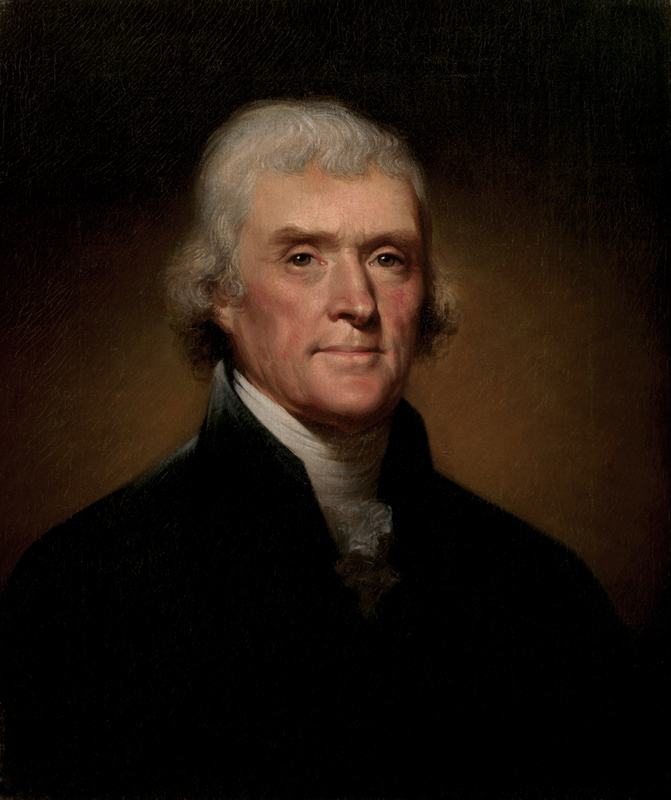 When Thomas Jefferson entered the scene, however, It was Jefferson's relentless ambition to prove to European philosophers and naturalists that the animals and native humans of America were not inferior to those of their continent. They were indeed superior. This was the basis for writing his Notes on the State of Virginia. The bones of the American Incognitum, therefore, became a source and identity of our national pride, and Big Bone Lick became famous as the area for these highly treasured resources. These explorations and discoveries were going on at a time when the leading men of science worldwide did not even consider the possibility of extinction occurring in any species. Darwin's theory of evolution was a long time away. All of this was going on years before the first dinosaur bone or even the concept of dinosaurs ever existed in this country. The leading world scientists and naturalists were all aware of the Pleistocene mammals. Scientific fascination with Big Bone Lick has continued uninterrupted to this day. Read about Big Bone; visit it, ask questions; use the scientific method and learn about Big Bone. Its historic and prehistoric significance and importance are as big as its bones!